Happy Friday my dear readers. 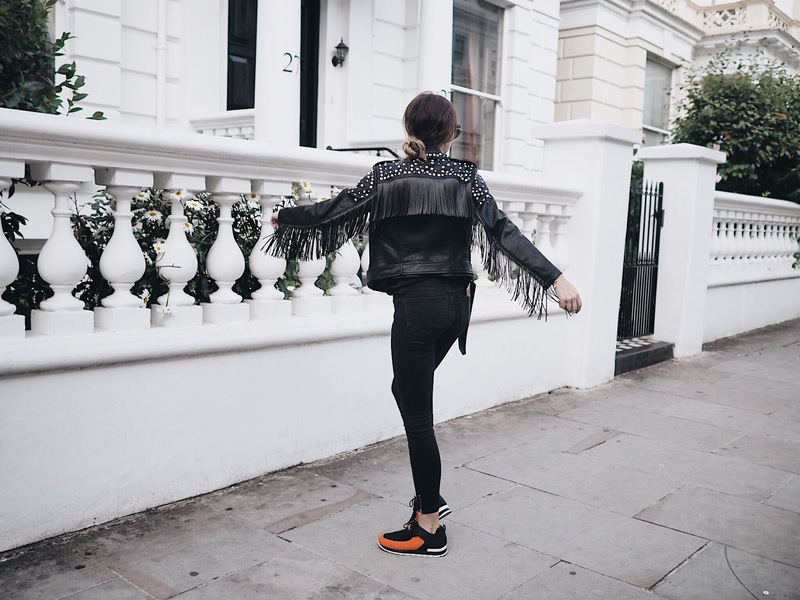 Farfetch got in touch recently and asked me to style one of their Balmain pieces on my blog. I can't tell you how long it took me to choose something. I am quite indecisive as it is and being given the option of over 50 items will make my brain twist a little. I wasn't really sure what I wanted or needed but ever since I saw these trainers they just stayed there at the back of my mind. If you have followed me for long time you will probably realise I love shoes. I have an obsession and I probably buy a pair every week, I just can't help it and I am not ashamed hehe. I always try to buy cool shoes, because I love wearing a plain outfit and shoes that stand out. 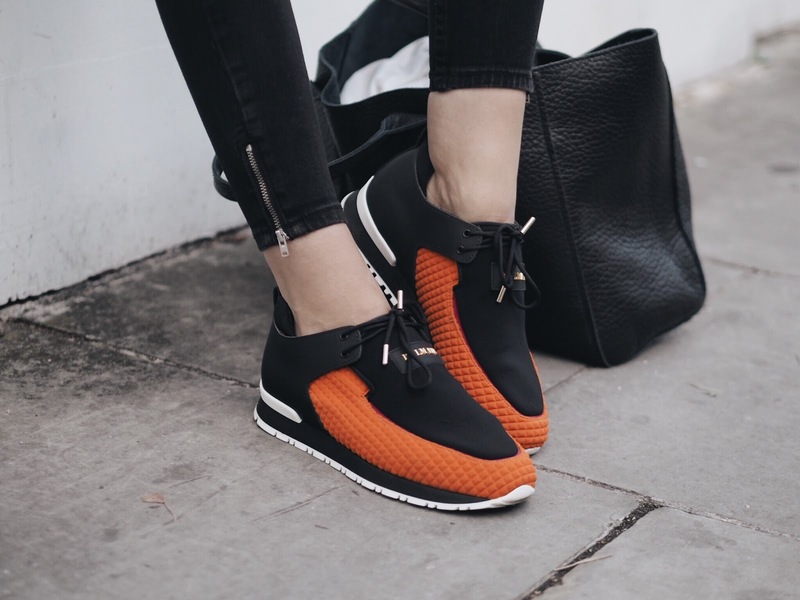 So I just had to have these orange and black Balmain trainers. 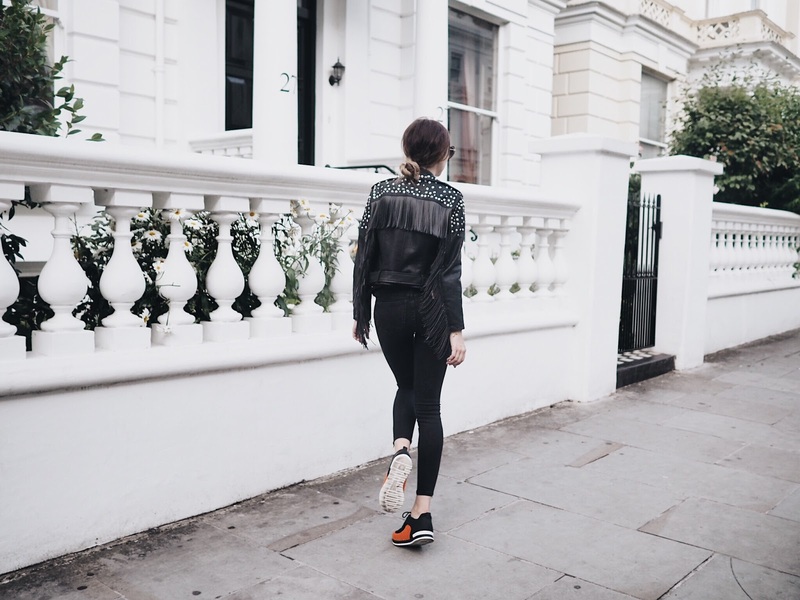 Trainers can be warn all year round with anything you want really so I think investing in a pair of designer trainers is a much better idea than a pair of for example sandals. (Although I do have espadrilles that I wear like 5 times a year). But I just think trainers are the clever choice because you will get a lot of wear out of them and they won't have to sit in your wardrobe and collect dust. 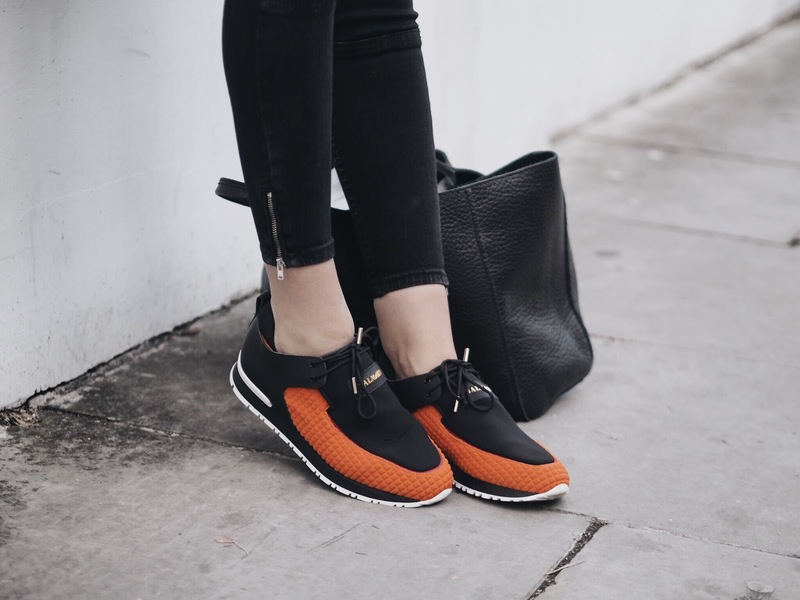 I am not gonna lie, I'm not the biggest fan of orange when it comes to clothes but how cool do these trainers actually look? Check out more Balmain items on Farfetch.